I'm not going to lie. You've seen this movie before. You've seen this story, or a variation of it - and you've seen these characters. Justin Lee's film "Swell" doesn't reinvent the wheel. With that said, I don't think that was his idea anyway. Familiar themes and characters, textbook background stories and situations, tend to play with our emotions because immediately... we can connect, relate and sympathize. "Swell" really isn't the perfect storm of original thinking - but didn't need to be. It doesn't matter that there could be an issue here or there with the plot. Or how quickly certain things progress or are explained, rather, not explained... but who cares. This is a movie. It's meant to bring to surface, an emotional response. What better way to do that with a familiar setting? And if things are not perfect - again, who cares. "Swell" is the perfect reminder that a film is made to entertain - not perform as a scientific study. Does it entertain? You bet it does - and does it so well. This is a journey film. A journey to face pain, find hope and perhaps a new friend or two along the way. A road trip movie with all the feel-good fixins', as well as a somewhat dark underbelly. As Tess's sick grandfather reveals to her his time is almost up, he asks of her one thing. A road trip. A trip to find the half-brother she hasn't seen in eighteen years. Tess ran away from home at a young age you see. Why? You'll have to watch the film to find out - but with her best friend Vera in tow, the two set out on their adventure. As is often the case, the two best friends are quite different in so many ways - but are both struggling with demons. Perhaps it's this connection that keeps them together? Perhaps both can appease their particular monsters on this journey. Along the way we meet Noah - a man with the mind of a child. Instantly Tess feels a connection with him and Vera... finds him annoying. The Noah/Vera scenario presents the audience with most of this films comedy. It also uses the two heavily for the more dramatic moments. Finally, we meet up with fellow surfer Ono. I did mention Tess was a surfer right? As I wrote above, "Swell" is a journey/road trip film ladies and gents. The love interest is required. Together the four trip on down the coastline. You know the drill. It's a sometimes fun, other times very sad journey. But together, as they say, redemption and resolutions can be found and Justin Lee's film doesn't disappoint. "Swell" is a pretty good looking flick. You won't mistake it for a two hundred million dollar blockbuster, but it doesn't sport the usual indie, micro budget hallmarks many of us are used to seeing. It's shot well. It sounds good - and the pacing felt pretty damn decent to me. It's one of those movies you may accidentally happen upon, and find yourself watching straight through. This is mostly accomplished by the performances of the cast. Summer Spiro, portraying Tess, has a quality about her I can't quite define. She can go from an emotionally strong feeling, to a downright broken feeling in the blink of an eye. And she's believable. One hundred percent. Vera reminds me of someone I know in real life. A lot. I mean that as a complete compliment because quite simply... if an onscreen character reminds me of a real life person... what more can be said? I do feel her character development was slightly under played - but that's all in the script. Not on Gabrielle Stone in the slightest bit. I simply wish there was a little more. Wittman's performance as Ono, is another character I would have liked to have gotten to know more about. He shows up as the token guy we expect to see in a flick like this. But really doesn't add much more to the story. "Swell" could have been done without him, but that's not to say he hasn't earned his place. There's not much to glean from the majority of his role, but his character is memorable. Take that as you will - and finally, we have Noah. I liked his character - and his inclusion into this film. It lends a little something to the characters that for myself, added no small amount of depth to this film. Connecting with Tess through his adventurous personality is one thing... Adding some comedy is another. Yet Noah added something else. Again, can't quite put my finger on it, but thinking about "Swell" without his character just feels wrong. Some may find Brennan Murray's portrayal of Noah awkward but myself? Not at all. It may come across as a little over the top at first, but quickly grows on you. Much like the character does in the film. There are some serious questions regarding what the hell Noah was doing out and about by himself though. It would have been cool to have found out he escaped a care facility or something, but it is what it is. As I started this write-up saying, this is a movie. Get over it. At the end of the day, for myself, this film did what it was supposed to do. I can't deny that during a few scenes... i felt a little somethin' somethin'. Haha. "Swell" really doesn't do anything all that new - and that's alright with me. What it does do... it does well. A solid four stars in my books. No question. 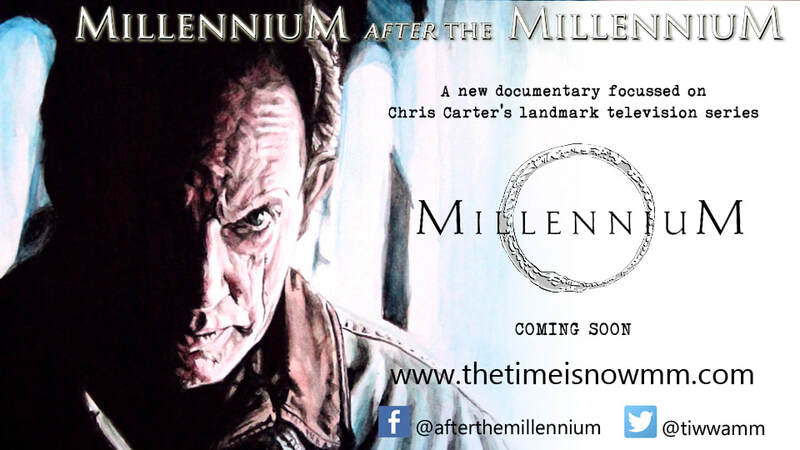 Millennium After The Millennium Review.